Program #KOZJ001. Recorded in Poughkeepsie, NY on September 9, 1991. This 70+ minute speech delivered in 1991 was never broadcast. A must-hear for Kozol fans. 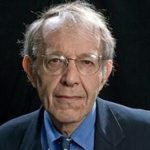 For decades, as a public school teacher and author, Jonathan Kozol has documented inequities in the U.S. education system. He won the National Book Award for Death At An Early Age. His other books include Amazing Grace, Illiterate America and The Shame of the Nation.